Amaorican: The game on Saturday. 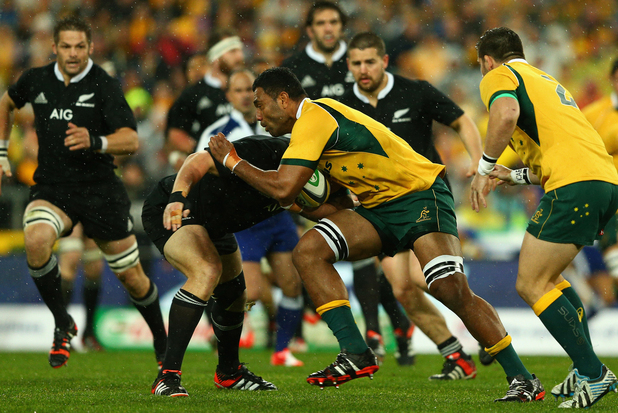 I didn't mention that after 17 consecutive wins, the All Blacks drew against Australia in the game opener. The Richard-head of a ref called 24 penalties the whole game and issued 2 sin-bins, one I'm not 100% sure of the reason. Lots of mistakes, but the mistakes came when they seemed to have a head up over Australia. It was a nail biting 80 minutes. I did not see the squad list when it was released during the week, but assumed Dagg would still be on it. I'm a lil bit offended that he wasn't. I hate to say it, but all the older players in the team should be looking at their Plan B's right now because age is coming fast and muscle power diminishing just as fast. .. and a word from the wise to McCaw. You can't join a ruck from the side. CAN'T. A mono dimensional game unfortunately. Perhaps this is the reason why Beale is eyeing a code switch. A tie is only good if you think your team was gonna loose. So the NZ women only placed 5th in the world cup.